Born in Poland, Jan Baracz lives and works in New York. He is a graduate of NYU, Bard College and the Whitney Independent Study program and has been the recipient of awards from the Asian Cultural Council, the Pollock-Krasner Foundation, the Edward F. Albee Foundation, Artists Space and the Kosciusko Foundation, among others. His projects include “Sand Box 1.0″ show at the Contemporary Art Center in Warsaw, Poland, “Life is Short” exhibited at Art Unlimited at Art Basel in Switzerland and the Sculpture Center in New York City, “The Ghost” at artMbassy Gallery in Berlin, Germany. His video “Eyebeads by Words Heal Fast” premiered in New York in 2008. His socio-cinematic installation, “Reality Cinema/LIVE VIDEO” for which he built a theater screening live footage from the street outside premiered at Art in General in 2009. In 2010 he launched a first installment of “How to Float Above the Psychic Stampede and Other Traditional Remedies” at the Stefan Stoyanov Gallery. His photography has appeared in The Paris Review, American Letters & Commentary and Jane magazine. Molly Dilworth is a Brooklyn based artist who views creative practice as a form of research. 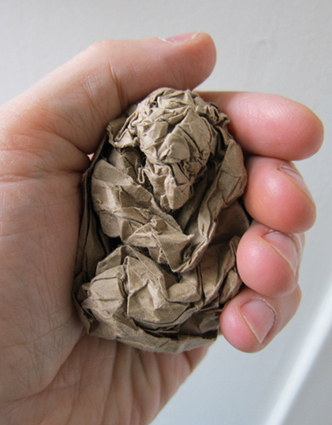 Using data from a specific site as a structure, she gives form to things that invisibly motivate our actions. She has partnered with green building community organizations, climate change activits, arts organizations and government agencies to make public art pieces that address our relationship to the history, nature and technology. Her painting Cool Water, Hot Island was selected as the surface treatment for the five block 50,000 sq. ft. pedestrian plazas on Broadway in Times Square. Her 2010 rooftop painting was made in conjunction with the NYC CoolRoofs program and was commissioned by 350.org as part of their international climate change art initiative. Her painting Lodge 441/Old School for the New Museum Festival of Ideas can be seen at the Old St. Patrick Cathedral School at 233 Mott Street. Paintings for Satellites/Long Island City in collaboration with Seek Art is part of an ongoing series of paintings on rooftops to be viewed on Google Earth. As a 2011 Art & Law Resident, Dilworth researched the African American Burial sites in Lower Manhattan and the prevalence of forced labor in contemporary life. 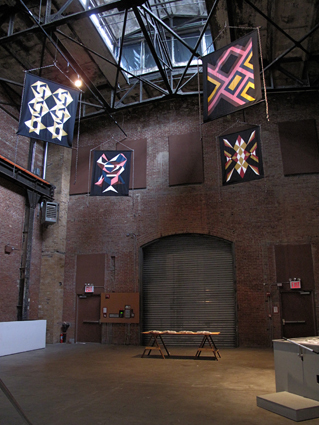 She combined visual references from this research into icons painted on banners at the Lower East Side-Rotating Studio Program, which was then exhibited at the Sculpture Cented in Long Island City. Kyoungeun Kang is a Korea-born artist based in New York City. She received an MFA in Painting from Hong-ik University in Seoul and an MFA in Fire Arts from Parsons The New School for Design. She works across a variety of media ranging from live performance to video, photography and sound. 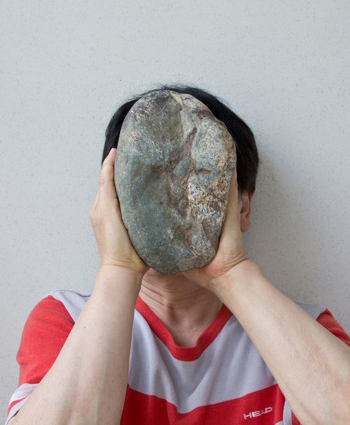 She juxtaposes Korean stones, are packages or other objects from her childhood and Korean culture within everyday contexts to create poetic and ambiguous situations. In her work she addresses how the body is a fluid space: expanded, stretched, transformed and blended into others. She has exhibited at the National Museum of Modern Art in Seoul, the Museum of Imperial City in Beijing, China, The Kitchen in New York and other venues in NYC. She participated in the Skowhegan School of Painting & Sculputre in 2009. She was awarded a NYFA fellowship in Video in 2010 and was one of AAI’s Lower East Side-Rotating Studio Program residents in 2011. 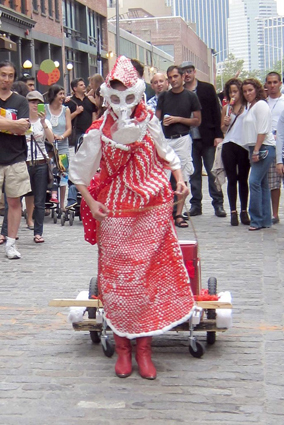 Born and raised in Tokyo, aricoco (Ari Tabei)attended the post-baccalaureate program in Studio Art at Brandies University in 2001 and received her MFA from the University of Connecticut in Sculpture and Video Performance Art in May 2007. She was awarded the A.I.R. Gallery Fellowship for 2008-2009. She has participated in several artists-in-residencies including chashama, Vermont Studio Center, LMCC’s Swing Space, Smack Mellon Artist Studio Program, Sculpture Space, Blue Sky Project, Triangle Workshop and AAI’s Lower East Side-Rotating Studio Program.